I occasionally get really worked up about playing….. and I show my teeth. My mom calls this face my little gremlin. When I make this face and start giving her the alligator mouth (snapping at everything) my mom puts me back in my playpen to play with my toys alone. I usually calm down in a few minutes and then I get to play again…. but If I whine while I am back in my pen I still don’t get to play with everyone. The black cat (Stubby) still hisses at me when I run up to him, but I think he is coming around to me because he doesn’t run and hide anymore. Hi everyone. 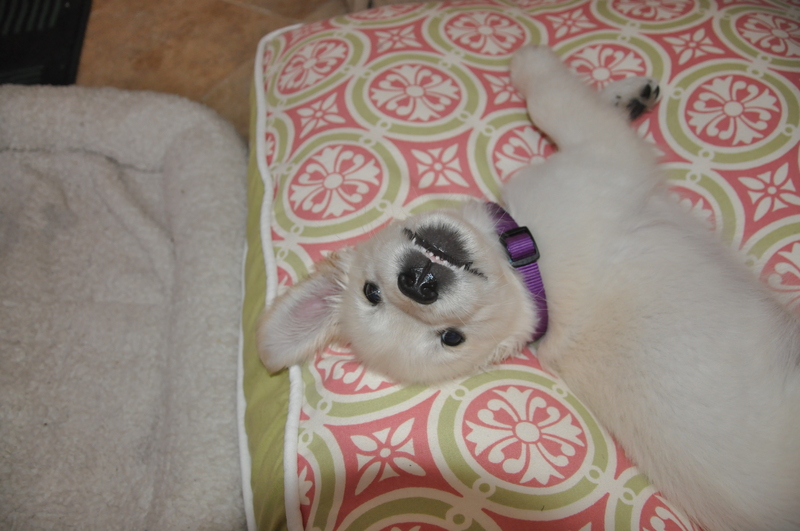 This is my GREMLIN face.